Technical Car Experts Answers everything you need: Diagnostic code P1330 on Kia 2WD Sorento? The ECM computes ignition timing in response to the signals from several sensors. The timing is fixed during the start-up phase. 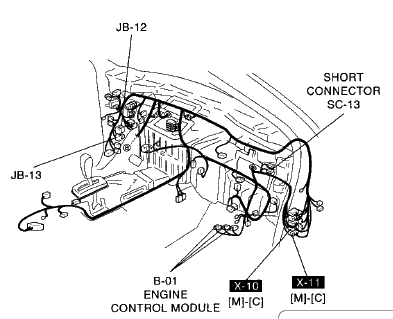 However, when the engine has been started and the vehicle is driven away, the ECM computes the optimum timing based on the engine speed, load and temperature.The ignition timing is fixed BTDC 5 and DTC P1330 is set when connecting Ignition control terminal of Data Link Connector and ground. If disconnect Ignition control terminal of Data Link Connector and ground, the DTC is erased automatically.Make sure to check for short circuit to ground between Ignition control terminal of Data Link Connector and chassis ground when DTC is set. Possible causes are : poor connection, open or short in control circuit, faulty PCM. 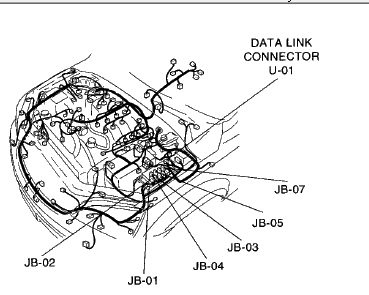 (2) Disconnect Data Link Connector and ECM connector. (3) Measure resistance between terminal "19" of Data Link Connector and terminal "A23" of ECM harness connector. Specification : Approx. below 1? (4) Is the measured resistance within specifications? YES ? Go to " Check for short to ground in harness " as below. NO ? Check open in harenss between Data Link Connector and ECM connector. ? Repair or replace as necessary and then, go to " Verification of Vehicle Repair" procedure. (4) Is the measured resistance within specifications? YES ? Substitute with a known - good ECM and check for proper operation. If the problem is corrected, replace ECM and go to "Verification of Vehicle Repair" procedure. NO ? Check for short to ground in harenss. ? Repair or replace as necessary and then, go to " Verification of Vehicle Repair" procedure. If the wire is good from the DLC to the ECM and there is no short to ground ,then problem is likely a faulty ECM. The only way to test this is with a diagnostic scanner with full capabilities.